How do we learn about what’s normal? Or what’s natural? Mostly by observation. The more we see something, the more we start to accept it as common, and soon it becomes ”normal”. What was people’s ”normal” weight 100 years ago is very different from what we consider ”normal” today. Because something is common, that does not mean it’s healthy, good or natural. Enter your head position! What is normal and what is natural? Teaching whole body alignment is a fantastic opportunity to show the difference between ”normal” and ”natural” and to bridge the gap between where you are now and where you have the potential to be. 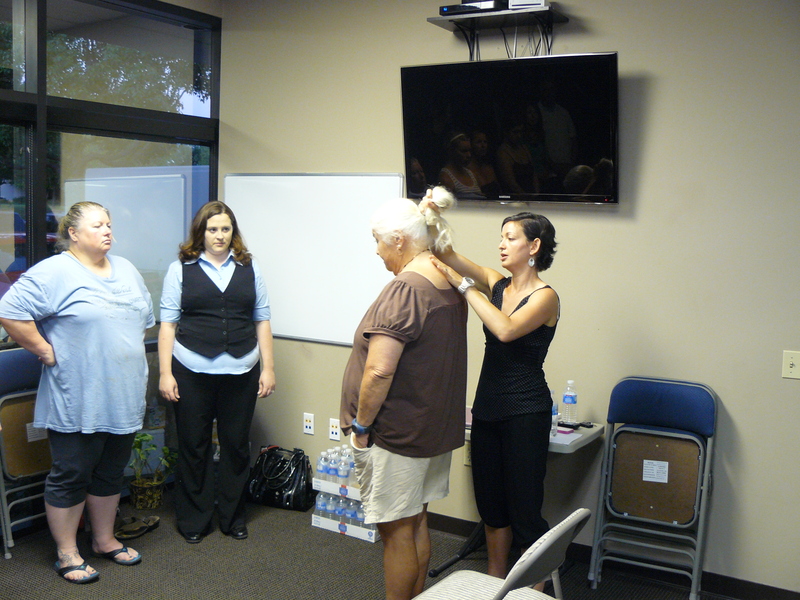 In the illustration below my wonderful colleague Restorative Exercise (TM) Specialist, Debbie Beane is demonstrating the optimal head to shoulder alignment. On the left, you can see ear over shoulder, chin level with the ground, the weight of the head distributed evenly over the spine. On the right you can see the more common – head forward posture, also known as ”my back is killing me” or ”I get headaches every day”. Check yourself out? Where are you now? Can you make a gentle effort to take the head back a little bit? Tuck your chin back, level it with the ground, elongate the neck. Now breathe and relax the shoulders. What did this small adjustment just save you? A migraine? Vision loss? Hearing loss? Cardiovascular disease? Back pain? 100 dollars worth of Advil?